The Basilica Minore Del Santo Nino is the country’s oldest Roman Catholic Church , built in 1565 by Miguel Lopez de Legazpi as the San Augustin Church. It was made of hard wood, mud and nipa. Destroyed by fire it was rebuilt twice in 1602 and in 1735. Between 1735 and 1737 by the orders of Cebu Governor Fernando Valdes Y Tamon it was constructed out of hard stone materials. 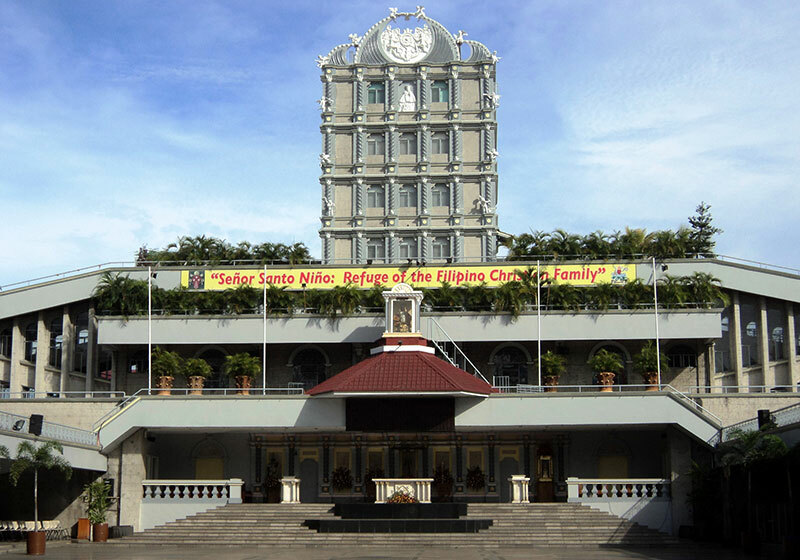 Now the Church is known as the Basilica of Santo Nino because its conversion ordered by the Pope in 1965 in recognition of its importance and that of Cebu City as the cradle of Christianity in the East. Inside of the Basilica del Santo Nino is the most famous religious icon in the Philippines, a statue of the Santo Nino. The statue was given to Queen Juana of Cebu by Magellan. Short Description: The Basílica Minore del Santo Niño de Cebú (Minor Basilica of the Holy Child of Cebú) commonly known as the Santo Niño Basilica, is a minor basilica in Cebu City in the Philippines that was founded in the 1565 by Fray Andrés de Urdaneta, O.S.A. and Fray Diego de Herrera, O.S.A..
Mount Apo and is a large solfataric, potentially active stratovolcano in the island of Mindanao, Philippines.